The fire department is often called to respond in a variety of capacities in a wide range of situations. Whether it's wind damage, flooding, power lines down, hazardous materials incidents, or worse, you can expect the fire department to be on scene. When severe weather blows into the metro, fire departments in the path of the storm are put on alert and may even be asked to report to their stations. Many of the members of the Osseo Fire Department receive annual training as SkyWarn severe weather spotters. This enables them to communicate vital information to the proper agencies to best warn against, prepare for, and react to impending severe weather. Once the storm has blown through and the damage has been done, we are often called upon to respond to resultant emergency situations, secure areas around downed power lines, and assist in the clean-up efforts. All active member of the fire department are trained to at a least a minimum level of hazardous materials response. This allows firefighters to recognize a haz-mat situation, secure the scene to protect the public, communicate the pertinent information to the proper agencies, and cooperate with them to resolve the situation. 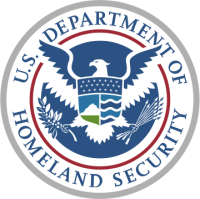 All active members of the Osseo Fire Department are trained in the United States Department of Homeland Security's Federal Emergency Management Agency's National Incident Management System and Incident Command System and have completed courses IS-00100, IS-00200, and IS-00700. These courses enable emergency responders to communicate effectively and integrate command structures in such a way that incidents are managed in the most efficient way possible, whether it's a local emergency, regional emergency, or national emergency.